Dimensions 0.81 by 5 by 8 in. Amazon.com description: Product Description: A deeply personal, intimate conversation about music and writing between the internationally acclaimed, best-selling author and the former conductor of the Boston Symphony Orchestra. In Absolutely on Music, internationally Haruki Murakami sits down with his friend Seiji Ozawa, the revered former conductor of the Boston Symphony Orchestra, for a series of conversations on their shared passion: music. Over the course of two years, Murakami and Ozawa discuss everything from Brahms to Beethoven, from Leonard Bernstein to Glenn Gould, from BartÃ³k to Mahler, and from pop-up orchestras to opera. They listen to and dissect recordings of some of their favorite performances, and Murakami questions Ozawa about his career conducting orchestras around the world. Culminating in Murakamiâs ten-day visit to the banks of Lake Geneva to observe Ozawaâs retreat for young musicians, the book is interspersed with ruminations on record collecting, jazz clubs, orchestra halls, film scores, and much more. A deep reflection on the essential nature of both music and writing, Absolutely on Music is an unprecedented glimpse into the minds of two maestros. 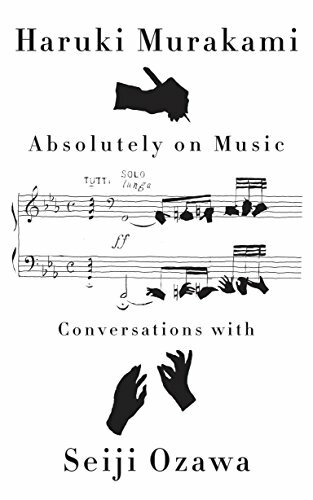 About: A deeply personal, intimate conversation about music and writing between the internationally acclaimed, best-selling author and the former conductor of the Boston Symphony Orchestra.